WE ARE A FULL SCOPE FOOT CLINIC LOCATED IN THE GUELPH, WELLINGTON REGION. IT IS OUR BELIEF THAT PROVIDING YOU WITH THE BEST CARE POSSIBLE IS IN OUR BEST INTEREST. We are constantly expanding our services, using state of the art equipment and leveraging the most recent evidence based medicine and treatments to provide you with optimal care. You can trust in a welcoming environment and exceptional practitioners to ensure you receive the highest quality care. We are proud to serve the Guelph community. Chiropodists and Podiatrists are the only regulated health professionals that specialize in treating conditions of the foot. 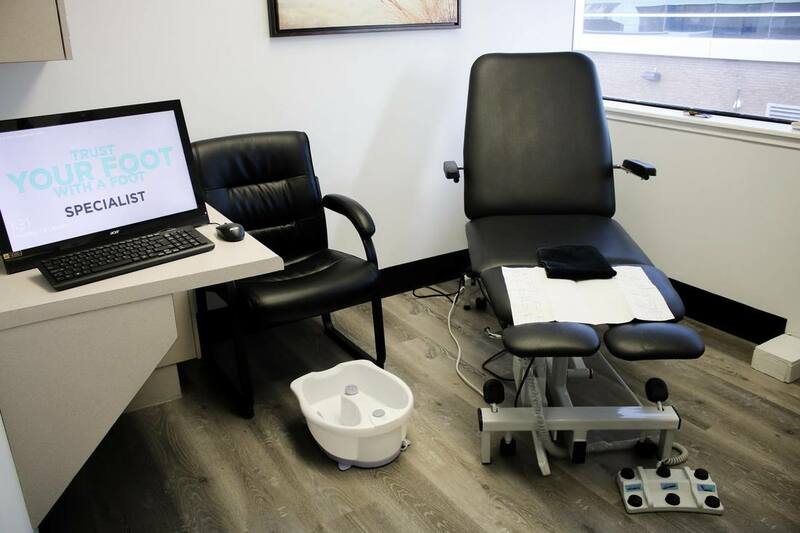 One advantage of seeing a Chiropody foot specialist is they are able to prescribe corrective action through the use of orthotics - no need to visit your doctor first. We see and treat a wide variety of foot ailments. A few of the most common treatments can be found below. DON'T SEE YOUR ISSUE LISTED? ​DON'T WORRY, WE'VE SEEN AND TREATED IT ALL ! ​AND HELPING YOUR FEET FEEL BETTER.